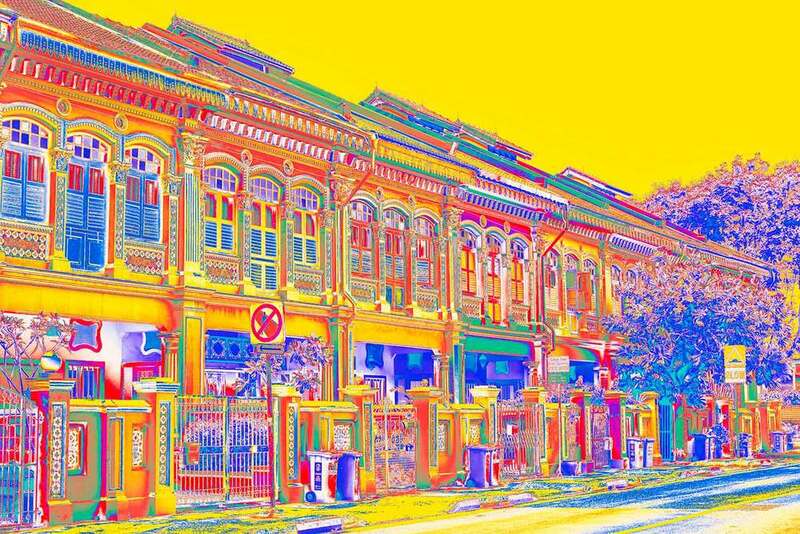 Linda's photographic prints of the vibrant shophouses of Koon Seng Road, Joo Chiat are a historical source of delight and nostalgia. 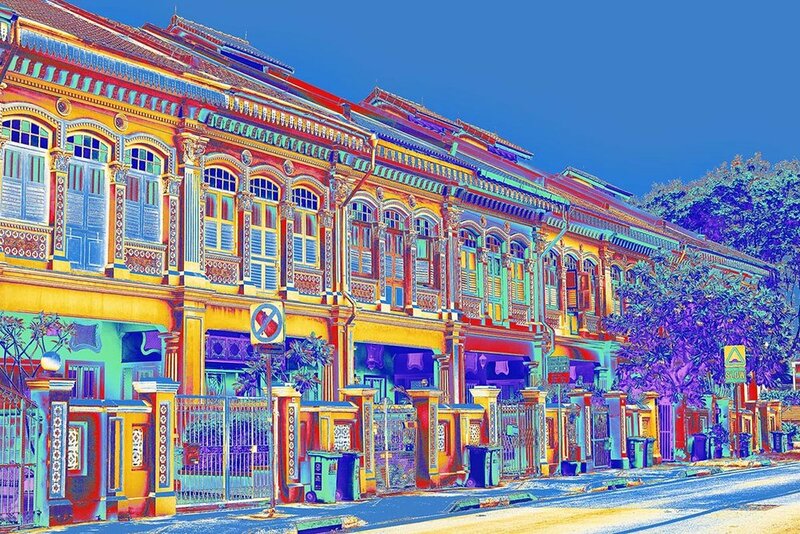 Shophouses are an instantly recognisable building style in Singapore. 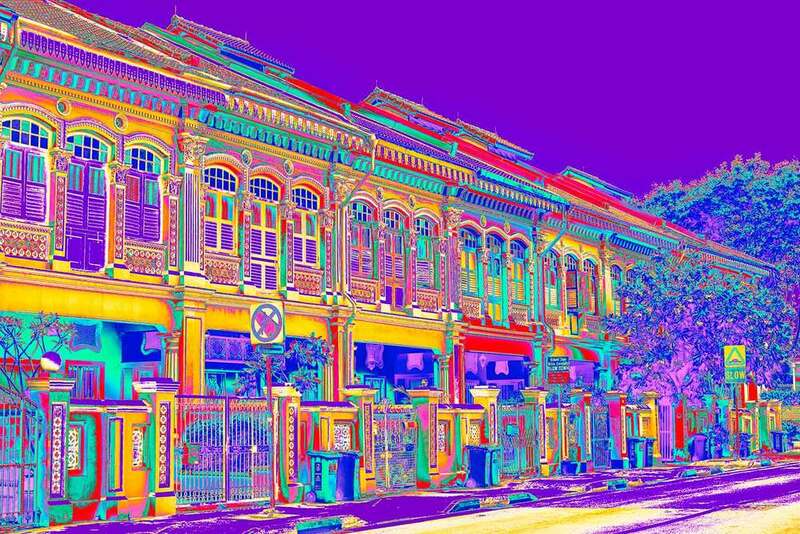 A historical source of delight and nostalgia, Shophouses are an instantly recognisable building style in Singapore. Their head-turning features, bold use of colour and fancy tiles, as well as the eclectic mix of Chinese, Malay and European elements, makes them favourite icons of both tourists and locals alike. My artistic interpretation of these historical relics transforms and injects excitement and vibrancy by giving them new life with the use of brilliant colour and a contemporary and artistic composition. By far, one of my favourite landmarks to photograph. RED, from the Shophouses Collection, is one of my most popular art pieces and is a perfect example of this unique style of photography. Red is the colour of energy, action, passion and it exudes a strong and powerful masculine energy. Imagine this beautiful art piece decorating a wall in your home or in an office. You can view other colour options in our online shop and choose one to decorate your walls.